On a beautiful, sunny, summer day, nothing looks quite as bad as a dirty, grimy window and this is where the proper window cleaning tools help. Some people use a spray cleaner and paper towels on their windows, which is a lot of work and very time consuming. If your want your windows to sparkle, shine and look professionally cleaned, use the cleaning tools, tips and techniques that the pros use. Scrubbers - Scrubbers are very similar to a squeegee except they have a scrubbing strip instead of a rubber blade. You dip your scrubber into the cleaning solution and scrub the window to remove dirt, dust and grime quickly and easily. Bucket - Cleaning buckets are available in many different sizes. When the bucket is not in use, it is great for holding your window cleaning supplies, so they are all in one place. This lets you keep the cleaning kit neat and tidy, for the next time your windows need cleaning. Squeegee - You can purchase squeegees in hardware stores and janitorial supply stores. There are available in several different widths, from as small as three inches, up to large widths for big jobs. Some have replaceable, flexible rubber blades or pivoting handles, for hard to reach places or unusual shaped windows. Scrapers - You use scrapers to remove old drops of paint and stubborn debris from the window glass. There are scrapers with plastic blades and some with safety razor blades. When using a scraper, always use light pressure and scrape in one direction only, to prevent scratching the glass. A very fine steel wool also works but you should never use this on glass that is tinted. Extension or Telescoping Poles - Use these for high windows, such as the second floor windows of a house, or on hard to reach windows. Rags, Chamois or Low-Lint Towels - Use these to remove the excess water from the squeegee, scrubber and windowsills. Once you have the window cleaning tools, you need to learn how to use them properly to get professional looking results. Never clean windows on hot days or in direct sunlight. The solution dries too quickly, causing streaking. 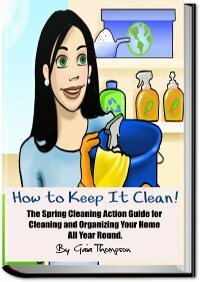 You can make your own cleaning solution by mixing a gallon of warm water and a squirt of dishwashing soap. This makes the water slippery so you remove the dirt and dust without damaging the glass. Before you start to clean your window with the scrubber, use your scrapper to remove old paint drips or debris. Dip your scrubber in the water, squeeze out any excess so it does not drip everywhere and scrub up and down, then back and forth. Now, with your squeegee, go across the top of the window on a slight angle and then dry your squeegee using a chamois or rag. Next, go down the window vertically, starting at one side, overlapping slightly and wiping the squeegee each time you reach the bottom of the glass. Continue going across and down until you have finished but be sure to keep wiping the squeegee blade. Finally, wipe the sills and window edges with your chamois or lint-free rags. With the proper window cleaning tools and a little practice your windows will look professionally cleaned.